Unica 3E | Door Factory Inc.
Our exclusive and modern Unica 3 collection incorporates sleek, elegant design covered in matt high end lacquers. The finish is completely smooth and is available in a range of colors. 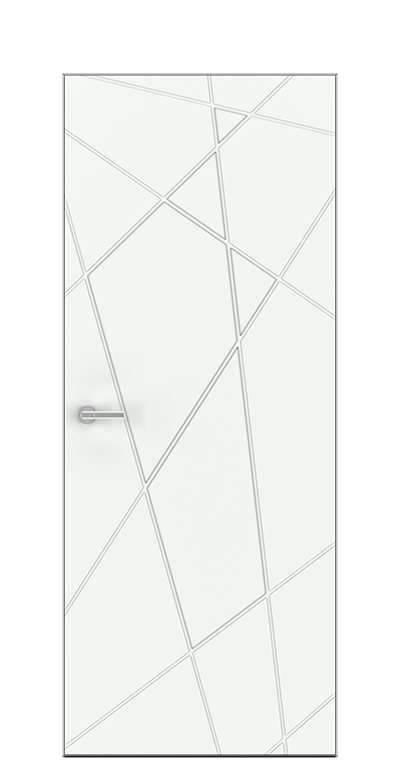 Interior doors panels can be decorated with milled design patterns to create your dream door. A door that fits properly will fit snugly, without gaps, but not prove too tight of a fit. It should close easily even when a child uses it. Pre-hung doors make the job a little easier, since the jambs that line the doorway are mounted as a frame around the door, unlike slab doors. This framework must fit properly as well, however. Pre-hung door units typically need a 1/2-inch shim space between the jamb frame and the rough opening, at both sides and below the header, to allow for adjusting the door during installation. Consult the door fabricator for proper sizing of your custom door. Door trim, or what carpenters commonly refer to as casing, is the flat trim piece that covers the door jamb and the space between the wall and the door jamb. For all doors we offer a special kind of casings, so that to the entire structure is given a finished appearance and that blends harmoniously with the interior design. Standard sizes of Matching Jamb and Casting easy to install in raw opening with wall thickness from 3"1/2 to 5"1/2. If the wall is thicker than 5"1/2, then additionally need to install extensions. While most modern homes have standard wall thicknesses, older homes often have thicker walls, as well as variation in thickness from wall to wall. For these cases, you can try a special split-jamb interior door, which has a slightly adjustable depth. Another option is to create door jamb extensions: hold one side of the door jamb flush with the wall and measure the distance needed to make the jamb flush with the opposite side. Use a table saw to rip strips of wood to the width needed, and attach the strips to the edges of the jamb. *Please note that images may not represent colors correctly and its best to contact us for color swatches. *Some door components may have changed or updated and may differ from images posted on this site.